The 2019 Commemoration is committed to showcasing entrepreneurialism and innovation and stimulating meaningful engagement and discussion on the legacy of 1619 on Virginia’s college and university campuses, through campus programming and Signature Event engagement. Learn more about how to connect your students and faculty with the 2019 Commemoration below. Academic institutions are invited to align conferences, symposia, or campus events with Commemoration themes and/or the historical events of 1619. Examples include speaker series and symposia (highlighting faculty works or guest speakers), student club and campus events, and digital history and public history projects. These events can be ongoing campus events or new projects. Check out our Events page to learn more about innovative partner programming already taking place on campuses around the Commonwealth. Academic institutions with entrepreneurship or innovation competitions will be invited to participate in the American Evolution Innovators Cup at the Tom Tom Founders Festival in April 2019. The event will feature pitch-prep sessions, live entertainment, and mentor gatherings with iconic innovators, and will culminate in a major pitch competition for Virginia students. 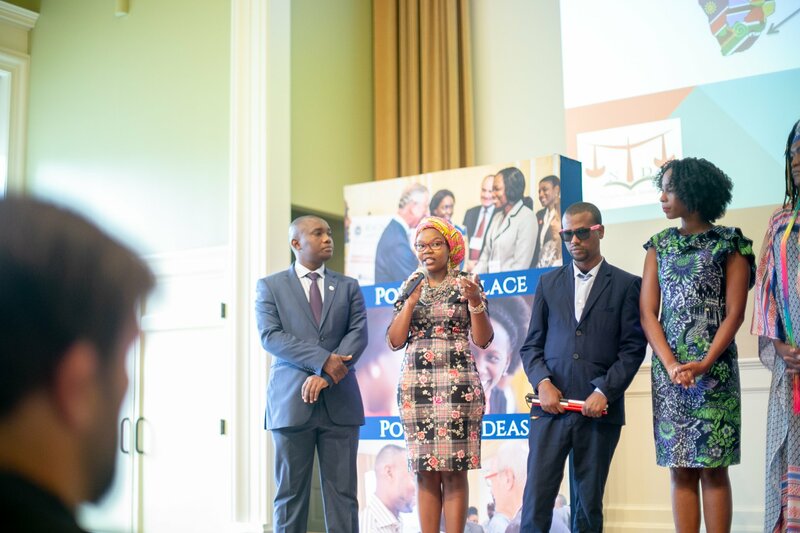 Presidential Precinct is seeking passionate young leaders to participate in the 2019 Global Pathfinder Summit in Charlottesville, Virginia, in May 2019. The Global Pathfinder Summit will equip participants with the skills, knowledge, and perspectives they need to effectively better their communities. The wealth of experience and diversity in a cohort of 100 international and 50 Virginian leaders will also create an extraordinary opportunity for participants to foster enriching connections that continue well after the Summit. Learn more here. Interested in learning more about our signature events and exploring how your college can participate? Send us a message.